The special room rates are available with a minimum two-night stay at Treasure Island and are for two persons and include the breakfast. In January the rates are slightly higher ($52 or $59 per room per night). All rooms have LCD TVs, bathtubs and floor-to-ceiling windows. Within the resort, the guests can enjoy MystÃ¨re by Cirque du Soleil and have a great meal at the famous restaurant Isla. 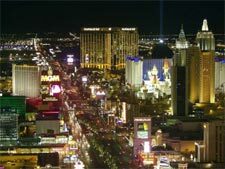 Now that you’ve got found an excellent and affordable place to stay, don’t forget to book a Las Vegas flight to get there. If you are like me, then you probably keep your eyes open for excellent travel deals and cannot wait to grab one that suits you. Right? You can now fly anywhere you want and you won’t need to break a bank either. Christmas Markets in Europe? Sure, why not? There is still time to head to Vienna, Prague or other stunning cities to enjoy the special winter celebrations. The special offers for hotels in Prague are abundant, especially during this time of the year. You can stay in a 4-star hotel for just ‚ 49 a night. And if you want to check out Vienna’s incredible markets, worry not for the hotel rooms start at $36.44 per night (2-star , 10 min from the city center, all rooms have private shower, toilet and TV). Don’t forget to grab a flight to Europe as well when you book the hotel. Now that you are in Central-Europe, why not wet your feet in the not-so-travel Eastern Europe? For many it appears quite exotic, but for Europeans it’s just slightly different. Americans will have a culture shock though (as much as the entire Balkans is a whole new world for them). You can enjoy the hot baths in Budapest while the snow is falling on the beautiful Hungarian capital. Room rates start at ‚ 35 per night in a 3-star hotel located near the metro station. And by the way: if you are close to the metro station, you’ve got the entire capital at your hands, as the public transport network is excellent and you’ll enjoy going from one place to another. Remember to book the flight to Budapest as well. The city’s airport is very well served by European low-cost carriers so it’s a good idea to fly into a major European hub first (London, Paris, Amsterdam) and then travel to Budapest.